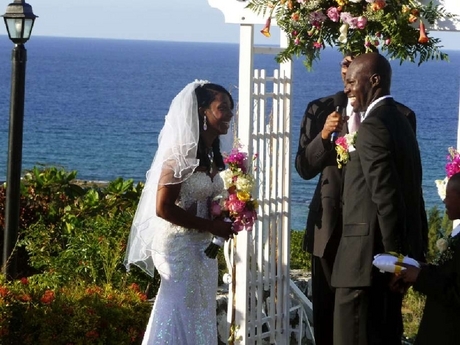 For those of you who missed it in January 2011, Shelly-Ann Fraser-Pryce wedding ceremony was beautiful. One could not ask for a more glorious occasion which was kept on The Tryall Club property, in Hanover . The wedding ceremony was officiated by Pastor Jakes Blackwell. 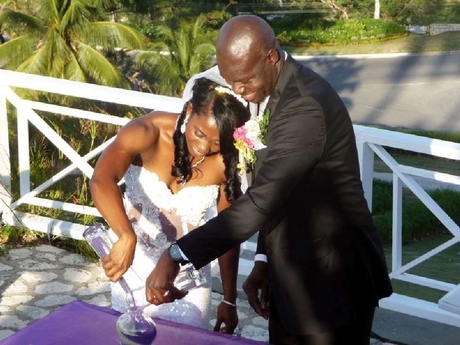 He ensured that both Jason Pryce and Shelly-Ann said their vows and both were more than truly elated to be wed and joined together as man and wife, at the close of the ceremony.